After a long time of experimenting with one of Europe´s top-manufacturers, we have finally found a coated hookling which meets our expectations on abrasion resistance, durability, smoothness and coating. Finally, after a long testing period, we managed to combine all these characteristics, and Implex was born! Implex is made of a new braid-mix of Dyneema and Aramide. We managed to combine the smoothness of Dyneema with the sturdiness and sinking abilities of Aramide. This fast-sinking braid is covered with a smooth-mat coating which won´t tear in a knot. 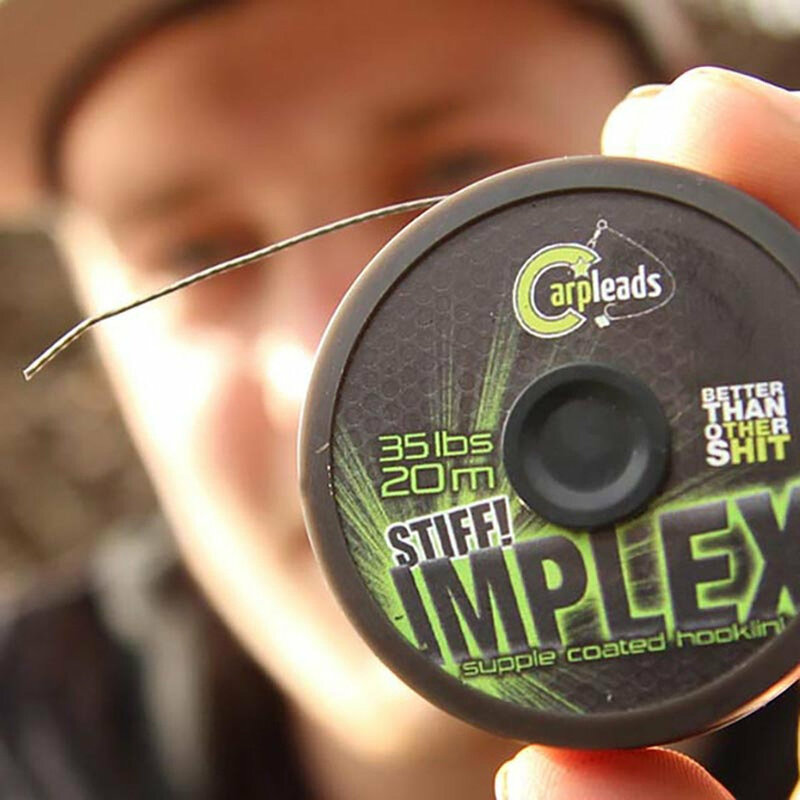 Suitable for many rigs, such as the no-knot rig, combi-rig, pop-up rigs and many more.